Autumn leaves and pumpkins, please! 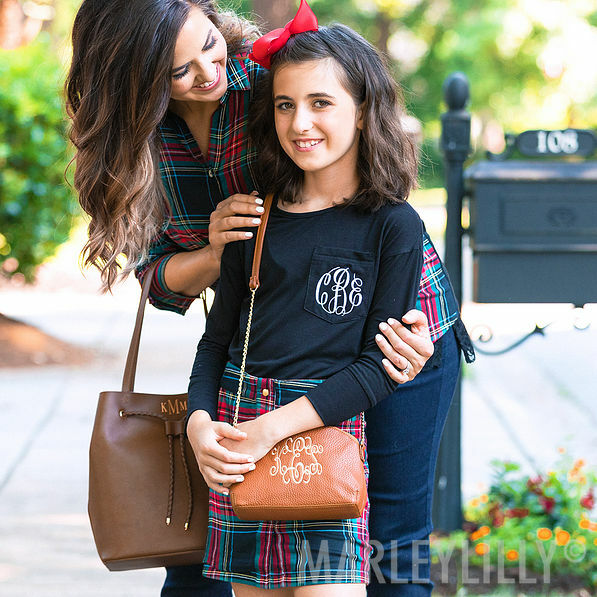 Step into fall in these adorable Mommy & Me looks! 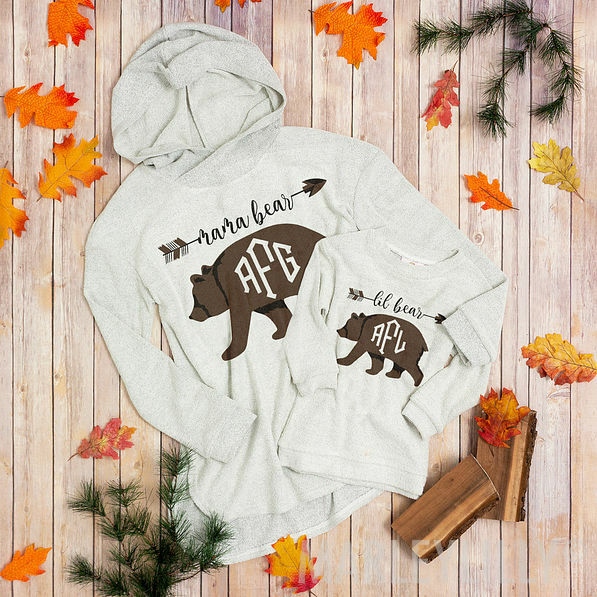 Stock up on cute fall clothes for them and get the matching version for yourself while on SALE! Oh, and did we mention Mom gets a free gift too! Spend $75 at Marleylilly, Monday Dress, or Marleylilly Kids and receive a Free Olive Boyfriend Sweater through October 3rd, so shop fast!! Are you going on an orchard to pick apples or to a pumpkin patch to pick out the perfect pumpkin to carve? 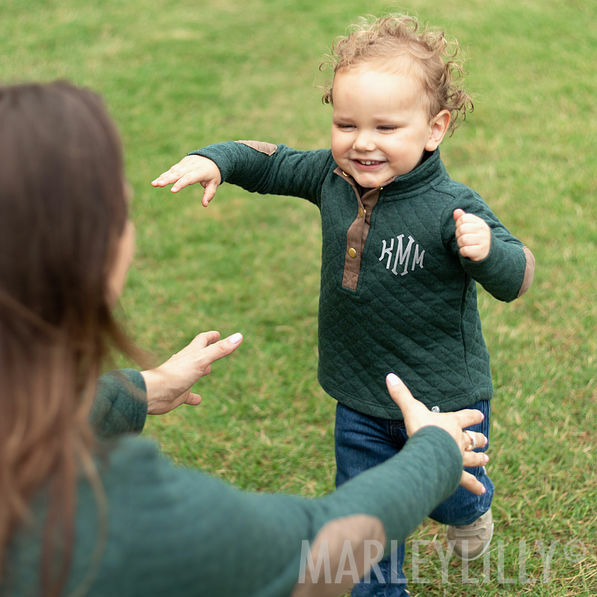 The Monogrammed Quilted Pullover Tunic is perfect to keep everyone cute and cozy, especially for those adorable photo ops! Are fall family pictures on your agenda? The Monogrammed Chenille Pullover Tunic is perfect for the occasion! 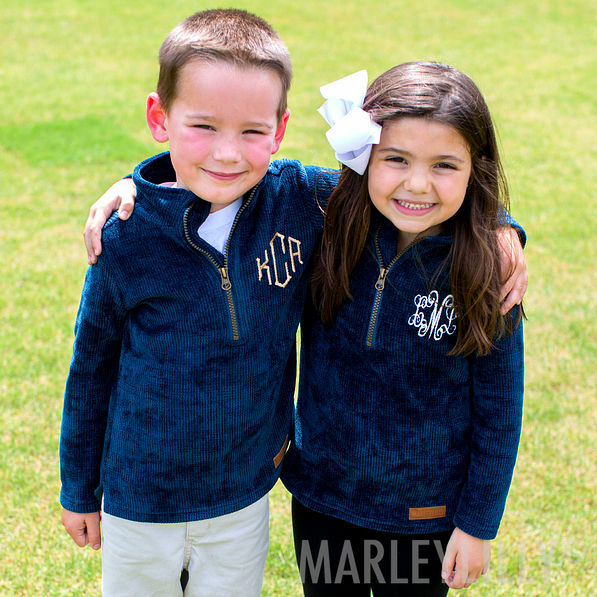 Available in a beautiful Teal and Brown color, this pullover has Chenille fabric and shiny gold hardware on the front quarter zipper and, of course, a cozy spot for your monogram on the chest! Are you getting ready to go on an all-day shopping spree for Halloween costumes? 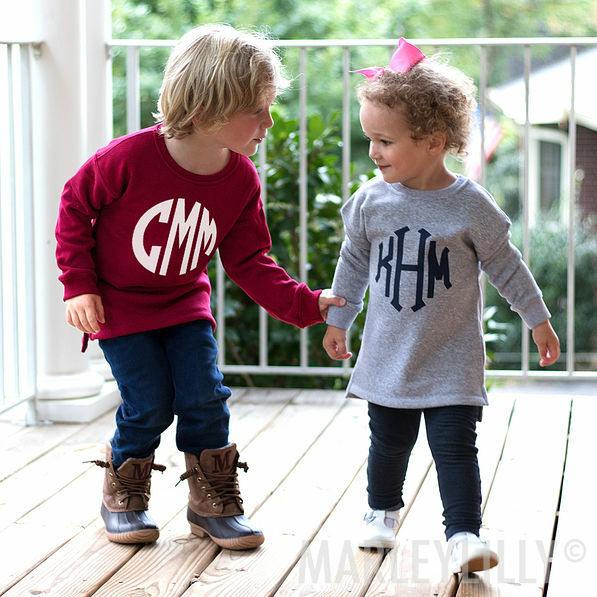 Keep the family warm and comfy in the Monogrammed Crewneck Sweatshirt! Fall and Winter should be spent in a comfy loop knit terry! The Monogrammed Terry Hoodie and Monogrammed Terry Pullover feature unique monogram designs to fit any personality! BOO! Halloween is just a few weeks away and we couldn't be more excited! Be festive all day long in the Monogrammed Tunic Shirt! Perfect for any class or office Haloween office party! All of these adorable Mommy & Me outfits would look perfect with Duck Boots! Available in Adult, Youth, and Toddler. Fun for the whole family! 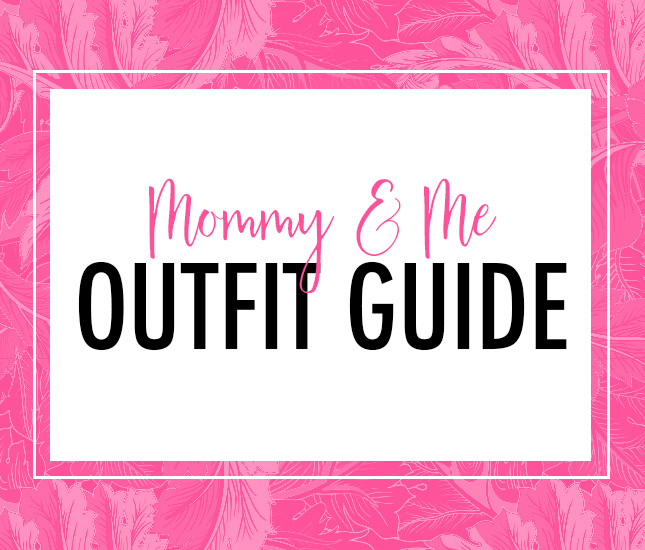 Be sure to let us know in the comments below what your favorite Mommy & Me look is!